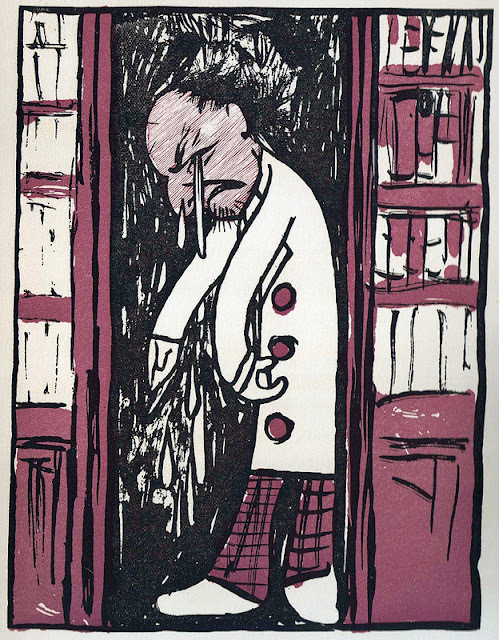 ein hod: Bookseller, Bookseller, why are you mad? Bookseller, Bookseller, why are you mad? Bookseller, Bookseller, why do you weep? Because I must sell my books far too cheap. Bookseller, Bookseller, why do you grin? Because an old lady is just coming in. Bookseller, Bookseller, why all this joy? Because she requires a nice book for a boy. Bookseller, Bookseller, why do you cough? Ahem! Well, the discount forgot to come off. Bookseller, Bookseller, why are you gay? Because it's my best of business to-day. This rather rare children's book of poetry and lithographic illustrations relating to various kinds of employment - some quite unusual - was first published in Fleet St in London in 1900. Text by JJ Bell. Illustrations by C Robinson.